The ‘B’ doping sample of Russian boxer Alexander Povetkin has tested positive for the banned drug ostarine following the disclosure of results analyzed in a US laboratory. The results were disclosed by the laboratory in Los Angeles, California, on Tuesday, from tests on samples taken by the Voluntary Anti-Doping Association (VADA). It was originally intended that the results be disclosed on January 6, but this date was moved by the World Boxing Council (WBC) to Tuesday. 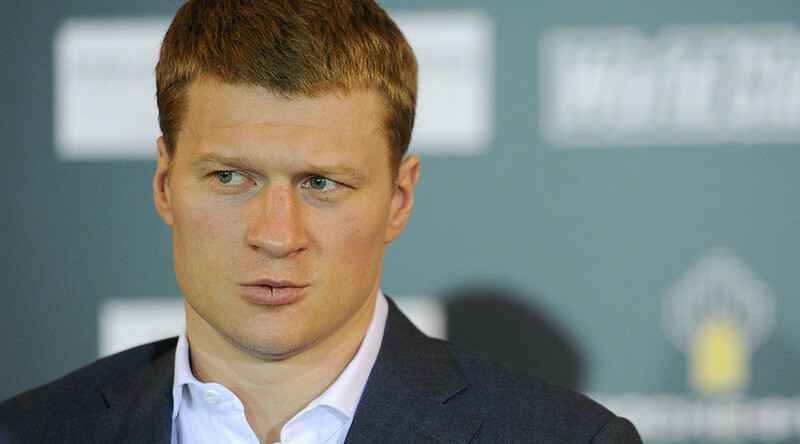 Following the disclosure in LA, Andrey Ryabinsky, head of the World of Boxing promotional company which handles Povetkin, stressed the need to conduct independent tests. Those tests were conducted in an independent laboratory in Lausanne, Switzerland. Ryabinsky contested that, while the samples given in LA tested positive, the independent results proved otherwise. “An American laboratory confirmed ostarine was found in Povetkin’s ‘B’ sample. The tests given in an independent laboratory in Lausanne [Switzerland] are clean,” Ryabinsky claimed in a tweet. World of Boxing later claimed that just Povetkin’s December 6 sample contained just 0.00000000001 g of ostarine and that samples given on November 15 and December 13 showed no traces of doping. The tests relate to Povetkin testing positive for ostarine in the lead up to his proposed bout with Canadian Bermane Stiverne on December 6, 2016, for the WBC international heavyweight title in Ekaterinburg. The WBC subsequently refused to sanction the fight. Stiverne refused to fight and Povetkin instead controversially beat Johann Duhaupas by brutal sixth-round knockout. It wasn’t the first time a Povetkin bout had been aborted at the last minute: in May 2016, a WBC world heavyweight title fight between the Russian and champion Deontay Wilder was scrapped when it emerged Povetkin had tested positive for meldonium. However, the boxer nicknamed ‘Russian Vityaz’, 36, was cleared by WADA of doping, but ordered to undergo extra drug testing at his own expense for the next 12 months. Another failed test in that time would mean an indefinite ban from all WBC events.